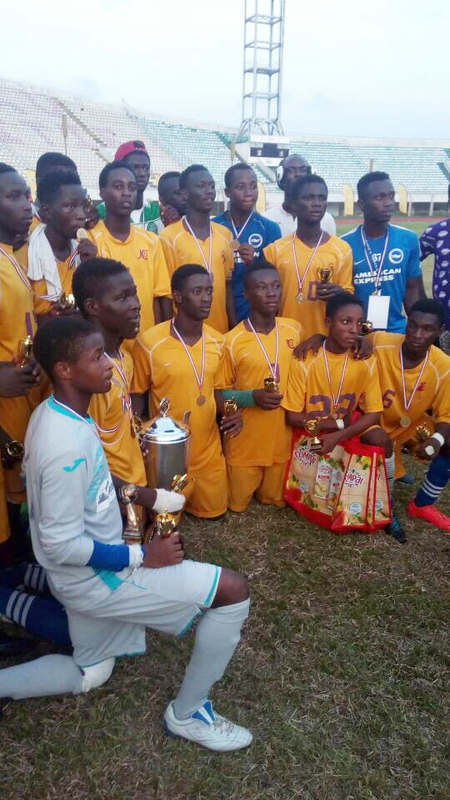 Congratulations to Rising Stars of Africa U16’s for winning the Tournoi International Centres des Formation de Football 2017 tournament hosted in Benin at the Stade De L’amitie stadium. Day 1 and the U16 went into the first group game strong minded and prepared. The U16’s went 1-0 down but the boys turned it around to win 2-1. Amazing character and desire shown by all the boys to achieve this result. Day 2 and the Second game of the group game saw the boys draw 1-1 this came frustrating as U16’s had shots on targets but couldn’t find the back of the net and hit the wood work twice. Day 3 and the boys had a very hard and demanding day ahead of them with 3 games to be played all under 24hours. 11am, Third group game underway. The boys started off strong, creating chances but again they where finding it hard to put the ball in the back on net which resulted in another 1-1 draw. 3:30pm, this was the fourth group game to be played. U16’s where ready to get back on winning ways and went into the game focused and ready to show the quality they could play. The boys played high quality football all throughout the game with Haruna Natogma scoring twice saw Rising Stars win 2-0 at full time. Day 4 and with a early start the boys kicked off the fifth group game. The boys knew a win would put them into the semi finals and that exactly what the boys done, Sadiq Bawa put the ball in the net to secure a 1-0 win. A very strong performance from the team to put them through to the semi final. The boys now had a days rest to prepare for the semi final. Semi final day and the boys where ready and focus. They were playing a local Ghanaian side who where very experience. The game proved hard throughout and after full time time the game stood at 0-0. There was no extra time and it went straight to penalty shoot out. Rising Stars of Africa won the shoot out 5-4 after a great save from China which put the team through to the final. The Final, the boys were determined to see this game through after all their hard work they have put in all throughout the tournament. The boys started the game strong and refused to lose this game but went 1-0 as Etoiles de mande were proving to be a strong side. Half time approached and the boys went into the second half wanting to prove what they were made of. Haruna pulled one back for Rising Stars to make it 1-1 before Sadiq finished the game off by making it 2-1! 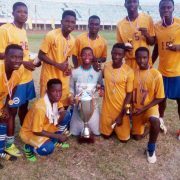 Rising Stars of Africa lifted the trophy and where winners of the tournament. The boys dedicated the win in memory of Robert Kofi Mintah who sadly passed away a day before the final. Robert was a big part of the staffing team for Rising Stars and he played a huge part in all the boys lives. 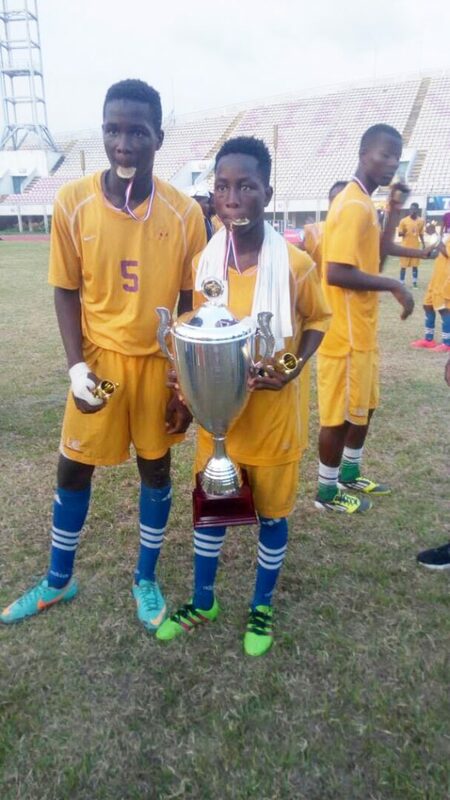 Awal Sherif was awarded best goalkeeper of the tournament and Peter Effah was award best players of the tournament. 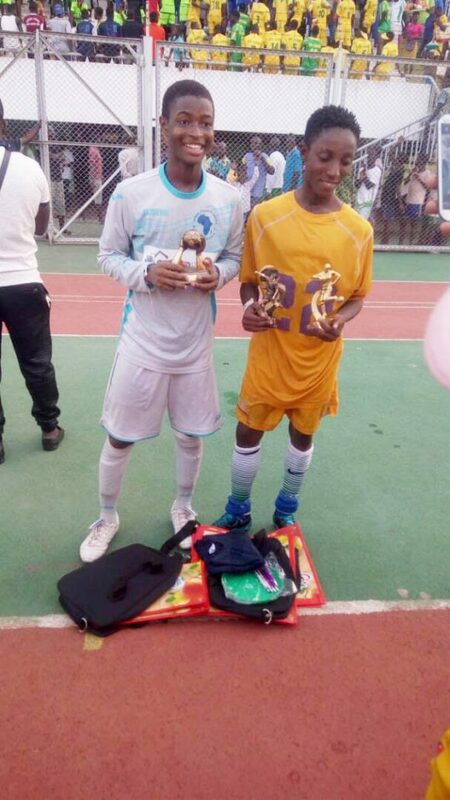 (left )Awal Sherif was awarded best goalkeeper of the tournament and (right) Peter Effah was award best players of the tournament. Everyone from Rising Stars of Africa congratulates the U16 for the hard work, determination and character shown throughout the tournament.